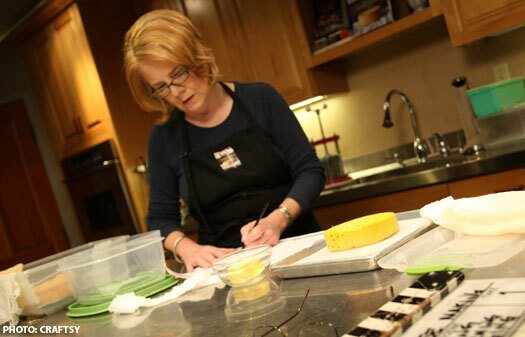 Mary Karlin is a passionate cook, cooking teacher, cookbook author, and freelance food writer. She was a founding staff member at the award-winning Ramekins Culinary School in Sonoma, CA, where she has taught wood-fired cooking, cheese making, fermentation, vegetarian, and Mediterranean-themed cooking classes for over fourteen years. Mary is also a guest instructor at The Fork at Point Reyes Farmstead Cheese in Point Reyes, CA, and The Cheese School of San Francisco, as well as other prominent culinary venues around the United States. She teaches an online cheese making course: Artisan Cheese Making: Chevre, Mozzarella, and Cheddar on Craftsy.com. Mary is the author of three acclaimed books: Wood-Fired Cooking (2009), Artisan Cheese Making at Home (2011), and Mastering Fermentation, all published by Ten Speed Press. When not teaching, Mary enjoys life in Arizona where she makes cheese, fills her pantries full of fermented foods, and cooks at her wood-fired ovens. My journey down the sometimes-mysterious fermented foods path has led me to write my latest book, Mastering Fermentation. As in my Fundamentals of Fermentation classes, this book presents a broad range of ferments that can be made at home; cultured dairy and cheeses, wild yeast and sourdough, fermented fruits and vegetables, vinegars, sprouted grains and legumes, cured meats, and fermented beverages. Fermentation is a fascinating and healthful topic; one that has captivated me and has become an essential part of my daily life. I hope you will join me and get fermenting! Order Today. After years of teaching a variety of cooking classes, cheese making classes, and making my own cheeses, I was inspired to write the most comprehensive book about home-crafted cheese making. As presented in my cheese making classes, on the 240 pages of Artisan Cheese Making at Home, I encourage all do-it-yourselfers with approachable easy-to-follow steps to becoming a successful hobbyist cheese maker. You can progress from simple cultured dairy to fresh cheeses, then on to aged cheddars, and go all the way to blues. Whichever direction you take, go forth and make cheese! Order Today. The popularity of live-fire cooking continues to grow throughout America and beyond. My first book, Wood-Fired Cooking, grew out of my passion for cooking over many years with what I refer to as ‘the real deal’ fuel: aged hardwood, and char wood. I was (and am) often stoking fires in brick ovens, my Big Green Egg, La Caja China, or at grills, and campfires. Wood-fired cooking has a slower pace. It forces one to slow down and enjoy the process while creating delicious food. My experiences evolved into teaching cooking classes on the topic, then on to writing this book, published in 2009. I invite you to join me on the pages and at fireside sometime soon. May I suggest, slow down and smell the smoke. Order Today.